All of our April Release products are available in the MFT Online Boutique NOW! Today our team is taking a fresh look at our most recent release with inspiring ideas and innovative takes on the complete collection. We love the opportunity to look at our products with fresh eyes, envisioning entirely new ways to showcase the possibilities they present. 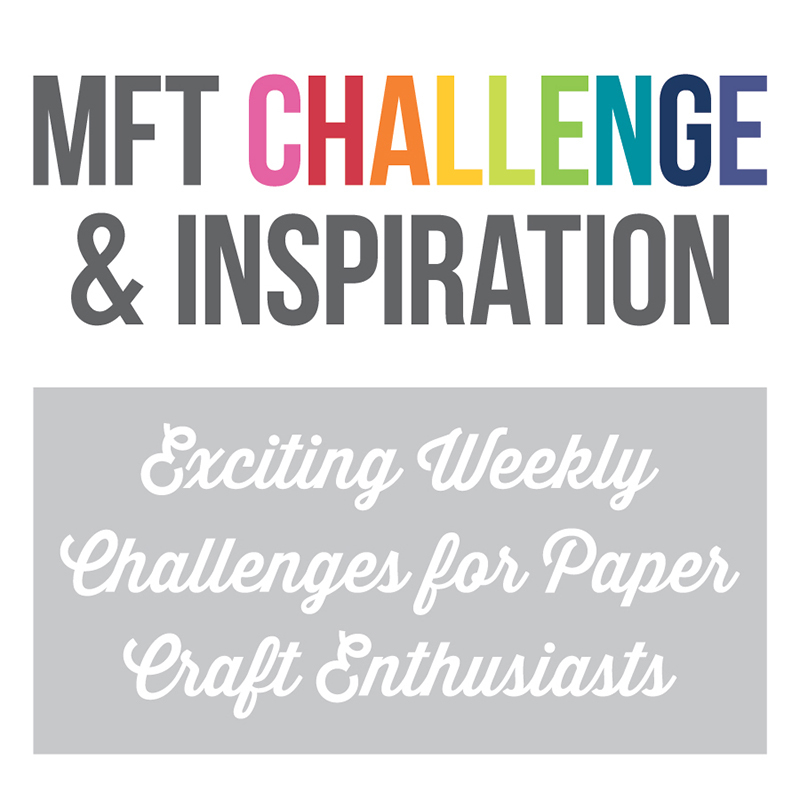 We can’t wait to share our ideas with you so be sure to also stop by the MFT Blog to see who else is participating! I made a card using the awesome new Shutter Card Components Die-namics today. It requires a gatefold card base so I decorated that with Sweet Celebration Paper Pack and adorned it with a SY Piggy Pebbles image, colored with Copic markers, and adhered on a belly band. Inside the shutter opening I stamped a sentiment from SY Piggy Pebbles—I had to separate it by masking the stamp so it would fit in the shutter opening. I made a little video to show you the action of the shutter opening and closing—how cute is that??? And that’s it from me today! Thanks so much for stopping by! 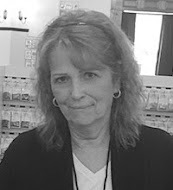 Visit each of the March Product Launch posts linked on the MFT Blog and leave a comment by the end of the day on Thursday, April 11, for your chance to WIN one of two, $100 MFT Shopping Sprees. The winners will be chosen at random and winners will be announced April 12. Start now because you don’t want to miss a single post! What a sweet, sweet piggy- he just looks so happy! Great card! That shutter is so fun! I love your pattern paper, so precious!! The little piggy is adorable!! Colored beautifully!! Awww!!! How sweet!!! Love so much the beautiful design!!! How cute!!! And then you open it and there is a fun surprise!! Love this card!!! That piggy is adorable. Such a sweet card. I'm so happy about this die-namics. I love the concept but found it hard to always get it lined up. SOOOO SWEET! I love the surprise inside!!! Awww! That adorable pig just begs you to open up the card for a special treat, and the shutter is the perfect inside to go with it. Thanks for sharing! 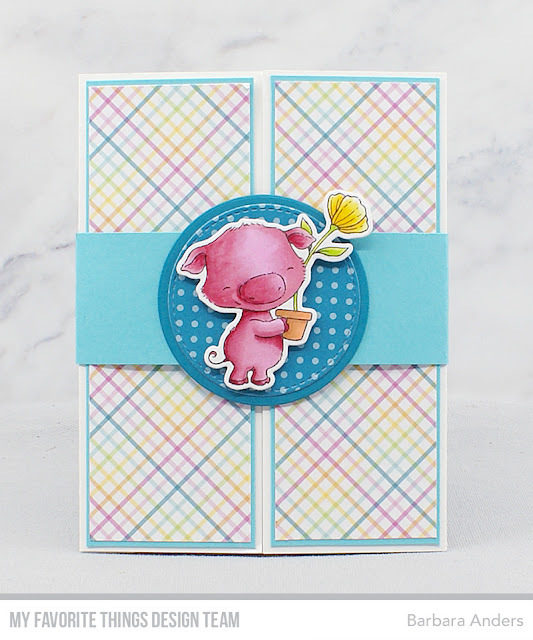 You've added this beautiful plaid background to this utterly adorable little pig! Love the sentiment as well! Great shutter card! It is nice that you show it in action too! Cute piggy and card design. Such a lovely shutter card! adorable design Barb! love the sweet piggy and the shutter die-namics. thanks for the inspiration! Oh my gosh!! That is an awesome card!!!! Cute. The shutter die looks like it will be fun to play with. Love your fun shutter card! Darling card! I love interactive cards, such fun when you open them! The shutter card is such a unique idea. Thanks for sharing. Love the interactivity of this card. What a cute fun interactive card! Such a delightful project! I really like it! 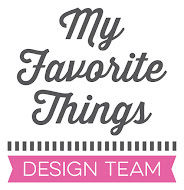 Love your design! The rainbow plaid paper is such a fabulous choice! Great shutter card!! 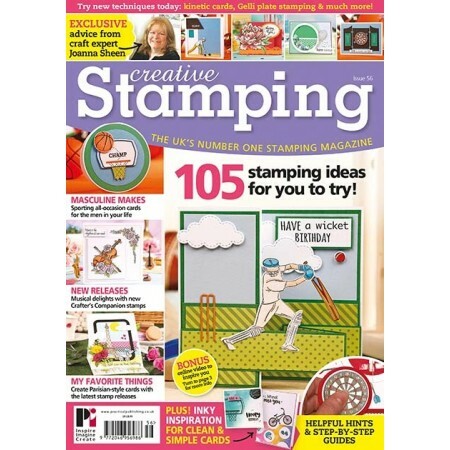 It's adorable and a great way to showcase this new release. Such a great card! Love the belly band and your coloring is lovely! 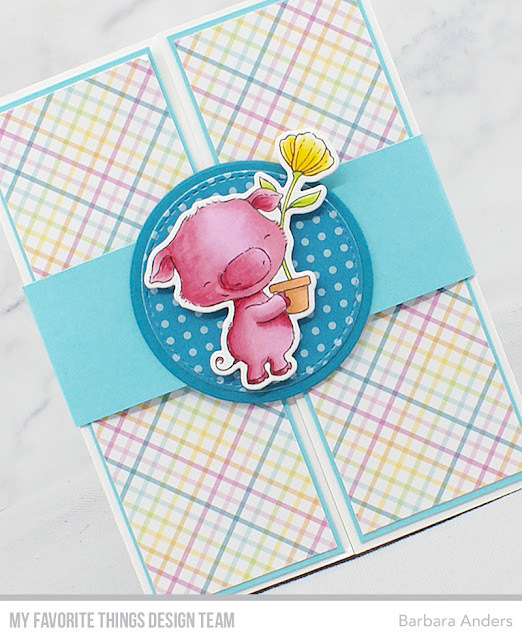 Wonderful interactive card...love the piggie. So sweet and such a fun interactive element. Love how you colored the piggy.